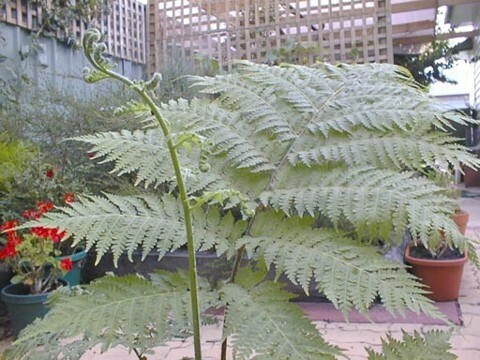 Native to New Caledonia and New Hebrides, this is a very fast-growing species, ultimately reaching 16' high, with an upright crown of fronds and an 8" thick trunk covered with shiny grey black scales. It will tolerate frosts down to 27°F, but, like C. atrox, must be kept rather dry to ensure survival of the cold. 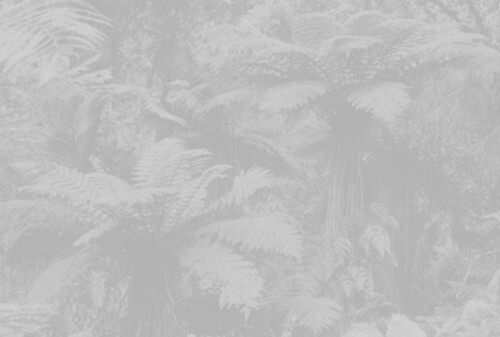 It would appear to prefer a partially shaded position in hot summer climates. 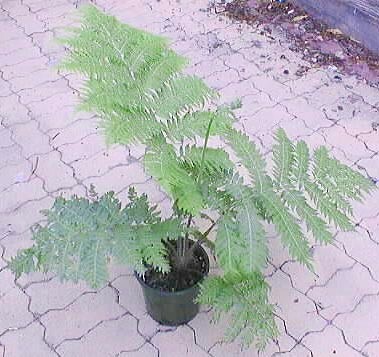 Young plant of Cyathea vieillardii. Photo courtesy of Scott Ridges. Upper trunk and crown of Cyathea vieillardii. Photo courtesy of Keith Rogers, Mannum, South Australia. 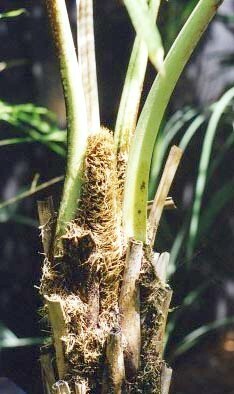 Frond and crozier of Cyathea vieillardii, photo courtesy of Scott Ridges. 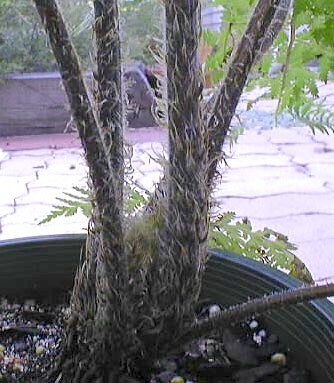 Stipes and crown of a young Cyathea vieillardii. Photo courtesy of Scott Ridges.